Welcome to the Riverview Apartments where residents can enjoy all the benefits of both apartment living and small town charm. Here, you can enjoy the serene surrounding in this friendly neighborhood. 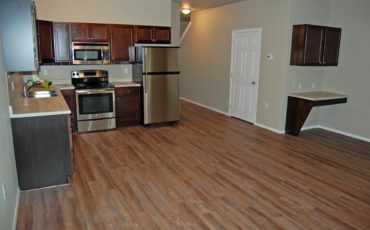 The Riverview Apartments offers a choice of two or three bedroom homes with floorplans offering up to 1170 square feet of living space. These homes are warm and welcoming with a great list of amenities such as a fireplace, disposal, air-conditioning, a detached garage, built-in storage and well-equipped kitchen with white cabinets. Riverview Apartments welcomes both cats and dogs and is conveniently located right behind Pizza Ranch. A range of services are close by such as the Tea Area Middle School and Tea Area Legacy Elementary, while downtown Sioux Falls with an eclectic mix of cafes and restaurants is only a short drive away.